A friend rented the bike (until today i haven't found a name for it) for a videoclip. 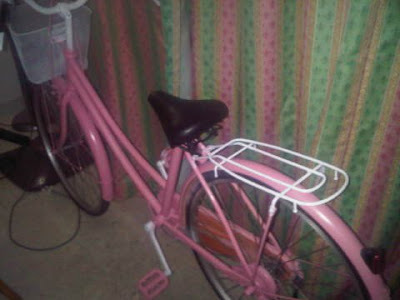 I told him i wouldn't mind if they paint it pink, just return it in one piece. Tomorrow i shall get myself a blonde wig.